I’ll be honest with you, I don’t always cook in season… I know, it’s shocking! With grocery stores and most produce stands importing fruits and vegetables from around the world, it’s hard not to pick up those grapes in the middle of winter. It always makes me feel good when I do end up cooking what’s in season. And luckily, just because it is winter doesn’t mean we can’t enjoy seasonally sweet fruits. That’s right, I’m talking pomegranates here! 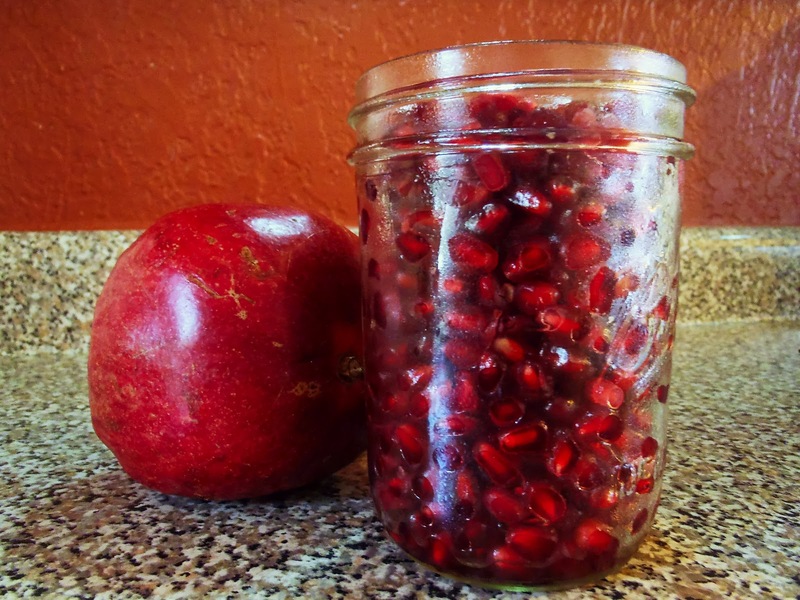 Since I am on an honestly kick here… I’ll tell you this; I’ve never had pomegranates before. Double what?! (Seriously, who says double what?) The allure that the pomegranates had on me in the produce section was immense, but not immense enough for me to put some in my cart. BUT the allure was great enough for me to ask my dear husband to pick some up for me when he made a grocery trip a couple days later. So that is how I ended up having no idea what to do with these pomegranates laying around. 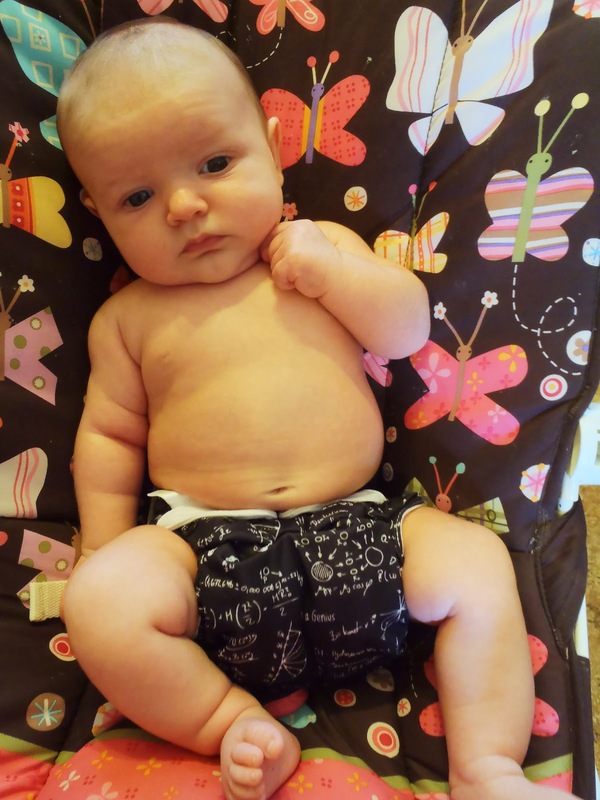 Then I thought… muffins! 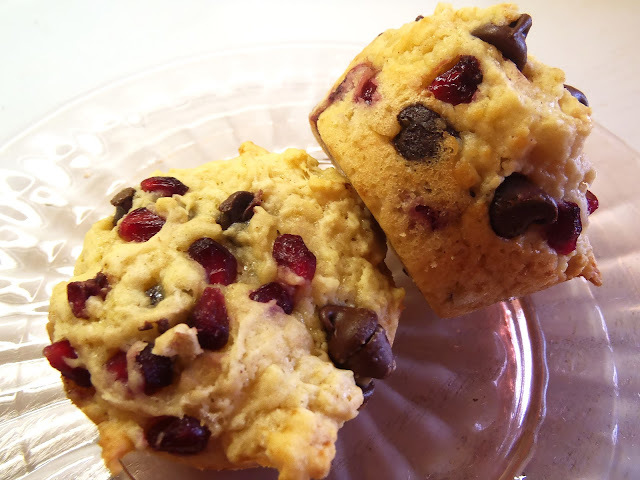 So I did some googling and oogling and came across a recipe for combining chocolate chips and pomegranates into twelve tasty muffins from She Bakes Here. So I went for it with a little helper at my side. They were extremely easy to make and mouth watering! I didn’t have sunflower oil on hand so I used coconut oil in its liquid form instead. I also used kefir instead of milk to add in some probiotics without the tangy taste. I highly recommend her recipe, which you can find here. Below is my adaptation of it. Preheat oven to 350 degrees F. Grease or line 12 muffin tins. In a large bowl, combine kefir, egg and melted coconut oil. In a separate bowl, combine flour, sugar, baking powder, salt and cinnamon, whisk thoroughly. Add dry ingredients to wet ingredients and mix until just combined, making sure not to over-mix. Fold in chocolate chips and pomegranate seeds. Spoon batter into muffin tins and bake until toothpick inserts comes out clean and tops are golden, about 12-15 minutes.